I wish you a happy Friday morning! Weekend arrives. New on “BACKSTAGE” blog: From today I’ll publish frequently the favorite music tracks of famous fashion designers. 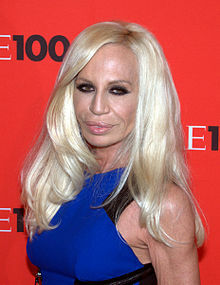 I start with Donatella Versace. Empress of Italian fashion shares her 9 favorite rock tracks. I hope you enjoy Donatell Versace’s favorite music. The bonus track of today’s another song of Black Sabbath featuring charismatic singer Ronnie James Dio. I wish you a relaxed start into the weekend and come back soon with a new story about fashion & music.